All health profession programs expect applicants to have a strong background in the sciences, with a particular emphasis on the life sciences. However, schools are interested in broadly educated applicants, so select courses in the humanities, arts and social sciences alongside your prerequisites. When you arrive at Smith, you are assigned a liberal arts adviser (LAA)—a member of the faculty who will help you plan your academic pathway. While LAAs have basic information about prehealth course requirements, you will need to seek advice from a member of the Board of Health Professions Advisers for specific questions. Applicants to health profession schools should demonstrate the ability to grasp and apply learned knowledge. Select a course load that allows time for you to master class material without feeling overwhelmed. Speak with your LAA and prehealth adviser about your social, athletic, and extracurricular expectations before drafting your academic plan. For example, you may wish to take fewer science courses in your first year while you are still learning about campus life. Or, if you are unsure of your interest in a health profession, you may wish to combine science courses with classes in other disciplines during the first two years so you don't narrow your options prematurely. It is also wise to consider how quickly you plan to complete prerequisites. While many students enter Smith planning to enter a health profession school directly after graduation, there is no competitive advantage to applying on this timeline. Health profession schools do not discriminate against applicants who matriculate one or more years after graduating from college, and most Smith students choose this path. A slightly longer timeline allows students to complete courses over four years (or more), and it frees up time to explore the many opportunities available at a liberal arts college. Because health profession schools use grades to evaluate your competence in the basic sciences, do not use Smith's S/U option for required prehealth courses. It is acceptable to use the S/U option to explore new areas of inquiry. An 'S' on your Smith transcript is not computed into your GPA. Above all, use good judgement and ask for help if you start to struggle. You can talk with your class professors, LAA, members of the Board of Prehealth Advisers, classmates, your class dean, or find tutoring at the Jacobson or Spinelli Centers. Students hoping to pursue a career in a health field must complete prerequisite courses that are determined by individual health profession programs. These courses help build a strong foundation in the basic sciences. It is almost always advisable to take a few courses beyond the basic prerequisites. Click open the collapsed panels below to learn more about prerequisites for specific health professions. Please speak with a prehealth adviser about your individual plan of study. The document below illustrates Smith courses most commonly used to complete requirements for health profession schools. You can also see a list of approved health-related courses at the Five Colleges. In addition, some dental schools require psychology; many recommend it. A small number require biochemistry. Dental schools will want to know that you can do fine motor work. If you do not already regularly participate in a related activity (i.e. playing a musical instrument, drawing, knitting, sculpting, etc), you may wish to consider taking courses in a related area. Although biochemistry and psychology are not always required, topics from both are on the MCAT. Some sociology topics also appear on the MCAT. Some programs in occupational therapy may also require one or more of the following: Exercise Physiology/Kinesiology, Algebra, Humanities (ethics/philosophy), English/Literature, and Research Methods. Some programs in optometry may also require one or more of the following: human anatomy and physiology, organic chemistry, biochemistry, microbiology, and psychology. The Association of Schools and Colleges of Optometry (ASCO) maintains a spreadsheet of up to date prerequisites by school. There is a great deal of variety among nursing schools when it comes to prerequisite course work. Students interested in nursing are strongly encouraged to review the common requirements listed here and to view the websites of individual programs for more specific requirements. Meet with a prehealth adviser for help with planning your program of study. Anatomy & physiology is not offered at Smith. While a very small number of students are able to gain entrance to this course at UMass, most will take it over a summer at another institution. The AACP provides a chart of prerequisite courses for all pharmacy schools. The Physical Therapy Centralized Application Service (PTCAS) maintains a spreadsheet of up to date prerequisites by school. Some schools may accept or require a semester of organic chemistry in place of the second semester of general chemistry. Other possible requirements include biochemistry, genetics, ethics, medical terminology (not offered at Smith), additional psychology courses, sociology. For information on prerequisites for individual programs, please visit the PAEA Program Directory. Mathematics is not required, although Calculus I is a prerequisite for Smith's general physics courses. Prerequisite courses for schools of public health vary considerably. Specific requirements will in part depend on the type of program to which you are applying. In all cases you will be expected to have a solid background in the basic life sciences and statistics. Social science and even undergraduate-level public health courses can also be useful. Students interested in pursuing a degree in public health can explore schools and prerequisites by searching the SOPHAS database of programs. You may also find it valuable to meet with a prehealth adviser to plan your course of study. The AAVMC maintains a list of all member schools' prerequisite courses. Why is Smith a great place to prepare for a career in the health professions? As a liberal arts college, students are encouraged to take courses in a wide variety of subjects, providing them with the opportunity to be well-rounded learners and develop broad academic skills. Academics are rigorous, much is expected of students, and a great deal of support is provided. Smith students undertake challenging coursework and are encouraged to think critically about what they are learning and to apply new skills and concepts. All of this is excellent preparation for any health profession school. Being a small school, Smith offers ample opportunities to develop strong connections with professors. These relationships are some of the most important that you can make when building skills, experiences, and—in the long run—a career. What do I take first? If you are still unsure of your plans—academic, career or otherwise—but wish to begin taking courses that will prepare you to enter a health profession school, you may wish to start with CHM 111/118 or BIO 132. These are foundational to almost every health profession and are prerequisites to other courses you may take at Smith. However, we recommend discussing your course plans with your adviser, as a different course may be the right starting point for you. Will AP/IB courses count for prehealth requirements? Rarely. If you have AP or IB credits in biology, chemistry or English, you should substitute higher-level courses. A score of 4 or 5 on the Calculus BC exam generally counts as one year of college calculus. Physics and statistics AP are accepted at some, but not all, schools. In most cases, you should anticipate that your advaced work in high school will allow you to skip introductory courses at Smith, but you will still need to complete the same number of required courses for health profession schools. Which biology courses should I take to complete the requirement for my health profession? This will depend in part on the profession you hope to enter and on your chosen major at Smith. Additionally, some health profession schools do specify courses such as microbiology, genetics or cell biology. If you have a favorite school, familiarize yourself with their requirements before making a final decision. If the requirement you need to complete is one or two semesters of biology without any further specification, you may take any biology courses numbered 132 and higher in the Smith College course catalog. Pay careful attention to lab requirements for your chosen health profession, and complete the requisite number of biology labs along with your courses. If your health profession school requires you to complete a biochemistry course, be aware that at Smith College, Cell Biology (BIO 202) is a prerequisite for Biochemistry I (BCH 252). Statistics (MTH 201 or 220) is the most commonly required math course among all health professions. However, calculus (MTH 111) is also required for many schools of human medicine, dentistry, pharmacy and veterinary medicine. What is different about Smith's chemistry sequence? In Smith's two-year chemistry sequence the first and fourth semesters make up general or inorganic chemistry, and organic chemistry is taken in semesters two and three. If you are interested in a profession that requires all four semesters of chemistry as prerequisite courses, it is to your advantage to take them in sequence. Therefore, although you may not stick to the plan you make right now, it is still useful to think—in general terms—of your four-year timetable and how you will fit in the four semesters of chemistry. For those who need general chemistry only, it is acceptable to take CHM 111 and CHM 224 without taking the two semesters of organic chemistry. Note that MTH 111 (calculus I) is a prerequisite for CHM 224. What should I know about physics? Unless a student arrives with an unusually strong preparation in physics, the student should start with PHY 117: Physics I. This course is offered fall and spring, but first-year students are given first priority in enrollment in the spring. Physics I and Physics II (PHY 118) both require one semester of college-level calculus (MTH 111) or the equivalent as a prerequisite. The lecture and lab components of PHY 117 and PHY 118 are fused into a single, interactive course. Would any course with a lot of reading/writing fulfill the English requirement? No. Any course with an ENG, CLT or LIT prefix is acceptable to health profession schools that explicitly require an English, English Composition or writing intensive course. The course must be taught in English. A first-year seminar offered through the English department may be acceptable to a health profession school that requires English, but students are strongly advised to confirm their FYS selection with a prehealth adviser if they are expecting it to fulfill a prerequisite. What do I need to take for the new social sciences section of the MCAT? The Psychological, Social, and Biological Foundations of Behavior section of MCAT 2015 is composed of 59 questions. Sixty-five percent of the topics are from psychology, 30% from sociology and 5% from biology. While advisers and premed students across the country will continue to learn more about this exam through its first administrations in 2015, at this time we recommend that students plan to take Introductory Psychology. In what order should I take the required courses? This depends on your choice of a major and other factors, such as study abroad. For example, a prospective biology or biochemistry major could take chemistry in the fall and biology in either the spring or fall; a prospective neuroscience major could take PSY 130 and chemistry in the fall; a prospective physics major could take calculus and/or general physics in the fall. Balance the lab courses with English and math depending on your major requirements and other commitments. A student who intends to study abroad might take language courses into consideration. Someone majoring outside the sciences can complete the courses in any order, apart from prerequisite restrictions. Make sure that you discuss your interests with your LAA before designing a four-year plan. How many science and math courses should I take in my first semester at Smith? This is a common question, best answered by the individual student in consultation with her LAA and prehealth adviser. Keeping in mind the goal of doing well and exploring new opportunities both inside and outside of the classroom, most students find it sufficient to take no more than two math or science courses in their first semester, and no more than one course with a lab. How can I gain clinical experience? Smith students find clinical and volunteer opportunities in a wide variety of places. Some are through campus organizations such as Smith College EMS and Global Medical Brigades. Some are through study abroad programs. Some are at local hospitals, private practices, or health clinics. Alumnae are often excellent connections for current students. Opportunities beyond the local area are limitless. Both the prehealth advising office and the Lazarus Center for Career Development have resources to help students find summer and vacation opportunities. We provide support, contacts and resources, but as with everything, the students who take the most initiative to seek out those resources and opportunities are ultimately the most successful in finding them. What is Smith's acceptance rate at medical schools? It is important to remember that different schools will show and explain their data in different ways, so to compare one school's acceptance rate to that of another school is often like comparing apples and oranges—it's not standardized data. More importantly, the key to acceptance at a medical school is the work of the individual applicant. Smith provides support and advising for all students pursuing careers in the health professions, including those interested in medical school, but when it comes down to it, we are not the ones who “get you in” to medical school—you are! Are there tutors or faculty to help students who are struggling academically? Yes. There are designated tutors for most of the introductory science courses, and all of those that prehealth students take would fall into this category. Tutoring hours are held regularly at the Spinelli Center for Quantitative Learning and the Jacobson Center for Writing, Teaching and Learning (for biology). All faculty have regularly scheduled office hours. While office hours can be used for any topic, it's most common that students will go to ask questions about a class. It is also possible to set up meetings with professors at a separate time, if you are not free during office hours. I am an international student. Can I attend a health profession school in the United States? International students face unique challenges when applying for health profession schools in the United States. First, most health profession schools, as competitive as they are for U.S. citizens and permanent residents to gain admission, are even more competitive for international students. Some do not accept international students at all. 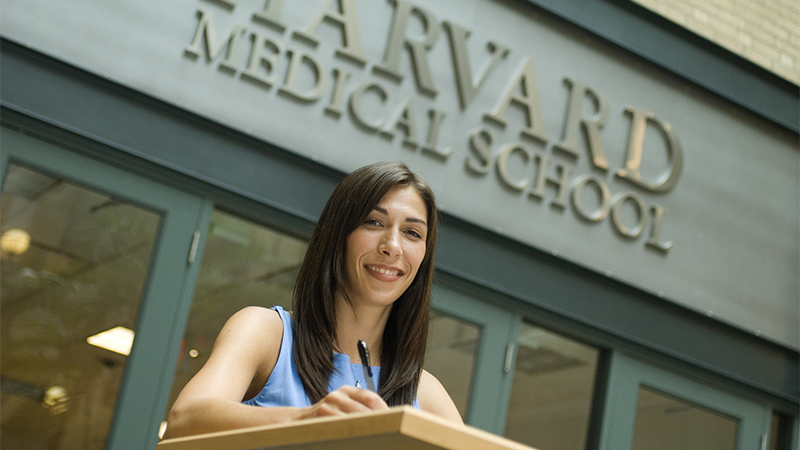 Every year Smith has international alumnae who enter U.S. health profession schools, but they are typically the most outstanding applicants. Additionally, finances can be difficult. International students are not eligible for low-interest-rate federal student loans, and for immigration purposes, many health profession schools require international students to demonstrate upfront that they have sufficient funds to pay for their full course of study. Finally, if you hope to eventually practice in your home country, it's important to research schools carefully and be sure that the degree you wish to earn will be recognized where you intend to practice. On the other hand, if you hope to enter a health profession school in your home country or elsewhere but wish to attend undergraduate college in the U.S., it's important to know in advance what qualifications that health profession school expects and to be sure you can meet those qualifications through a U.S. undergraduate education. The Five College Program in Culture, Health, and Science is a certificate program that lets students explore human health, disease and healing from interdisciplinary perspectives.